This pacifier clip is made from raw natural wood beads conditioned in organic coconut oil. The alligator clip is metal (nickel-plated) and has plastic teeth. Pacifier is secured with cotton crocheted cord, making it able to work with any brand pacifier (nuk, soothie, mam, gumdrop, etc.). 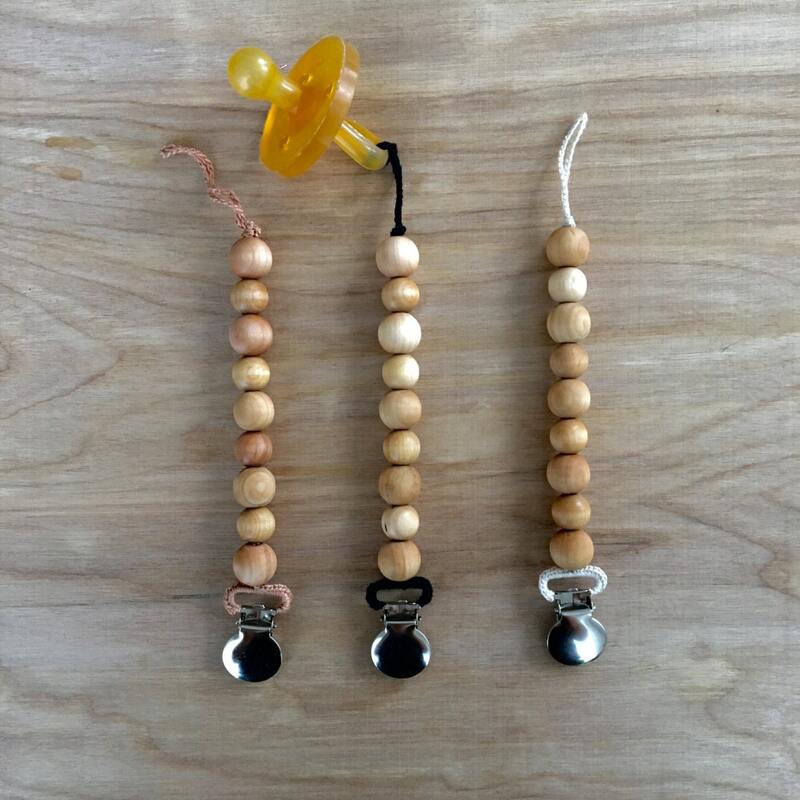 Wood Bead clips measure approximately 7" long, perfect size to keep a crawling babe's pacifier off the ground.